For humans, furniture has become a necessity, we fill our houses up with it, chairs, side tables, coffee tables, couches, the list goes on. And the older you get, the more furniture you collect. So what does your dog or cat think about the furniture throughout your house? While you wouldn’t catch your kitten shopping at Jerome’s for a new sofa or end table, that doesn’t mean furry friends don’t enjoy the perks of furniture. Who wants to sleep on the floor when you can sleep on a soft squishy surface instead? Sometimes cats and dogs use furniture just like us, to sit back and relax, but then other times, animals start getting a little crazy with the furniture. Say for instance when you find your favorite sofa ripped along the back from the sharp edges of your cat’s claws. Or when your new puppy gnaws at the wooden legs secured on your dinning room chairs. Not all wars waged between pets and furniture are violent though. For example, have you ever looked at your dog piled awkwardly onto the couch and side-table all-at-once, and thought– how could that possibly be comfortable? Animals never cease to amaze when it comes to the odd things they do. Since furniture is an everyday part of the domesticated cat and dog life, pets have found their own uses for the decorative and functional accessories stuffed all throughout your home. 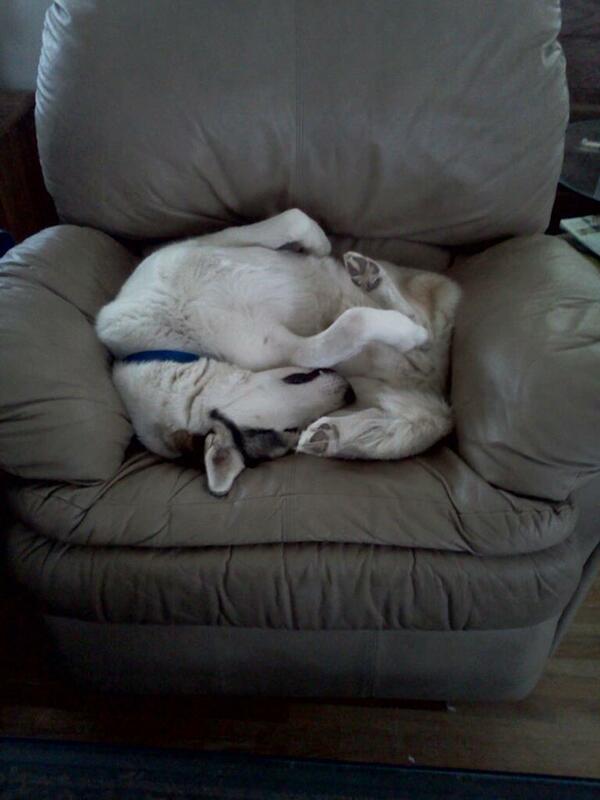 Check out these 30 hilarious photos of cats and dogs losing the battle against furniture. She fell asleep on her way up to the window–kittens get tired fast! This cat’s owner constantly wonders why her clothes have cat hair on them, even before she has a chance to wear them! Who needs a dishwasher when you have a bulldog? This little piggy found where his parents keep the buried treasure… the dishwasher! Kittens just love to use chairs as their own little play things. Don’t come too close to this chair, this kitty is ready to swat and grab! The perfect pillow, he even put out a coaster for the drool sure to start dripping soon. Instead of searching your couch cushions for coins, search for cats! How many can you find buried in this sofa? I think if I were the yellow-orange cat on bottom I’d be feeling rather claustrophobic. This pug partially pops out of the couch, but only for commercials about food and dinner time. This orange and white cat is apparently practicing her gymnastics using the convenience of the living room sofa. In Lassie’s later years she became a real coach potato! Alice in Wonderland’s Cheshire cat comes to life–I hope you don’t need directions! Does your pet have a favorite piece of furniture? Share in the comments section below!